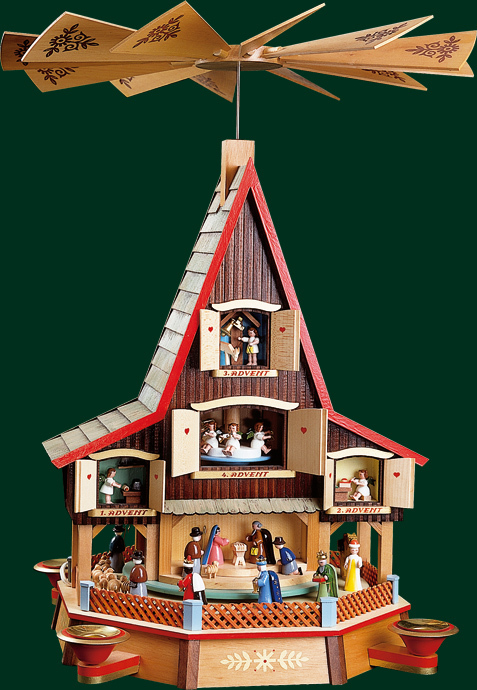 This is an extraordinary model of a Christmas Pyramid: It is a combination of the advent calendar, with all its door to open successively, and the classical Christmas pyramid. This house has four doors, each of them representing one of the advent Sundays. These doors / windows light up elektronically. The pyramid itself is turned by the heat of the candles. 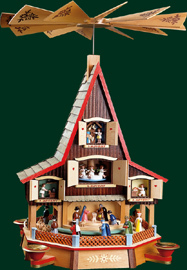 While the pyramid turns, the figurines on the base turn around the central nativity theme.